Mid-thought in my third round draw. I swear I’m not sleeping! What makes for a good tournament performance? Rating gain? Total number of wins? Winning prizes? Well, for me, it was none of the above. Last week’s Washington International marked my final tournament before returning to Pittsburgh for the fall semester, and a return to one of my favorite tournament venues. Just like last year, I entered the U2200 section hoping to find some sort of clarity going into the fall. Since the US Junior Open, I think it’s fair to say that I have had a particularly tough stretch between a poor showing at the World Open and some uninspired play at the Southern Open – only tallying two wins over my last eleven games. 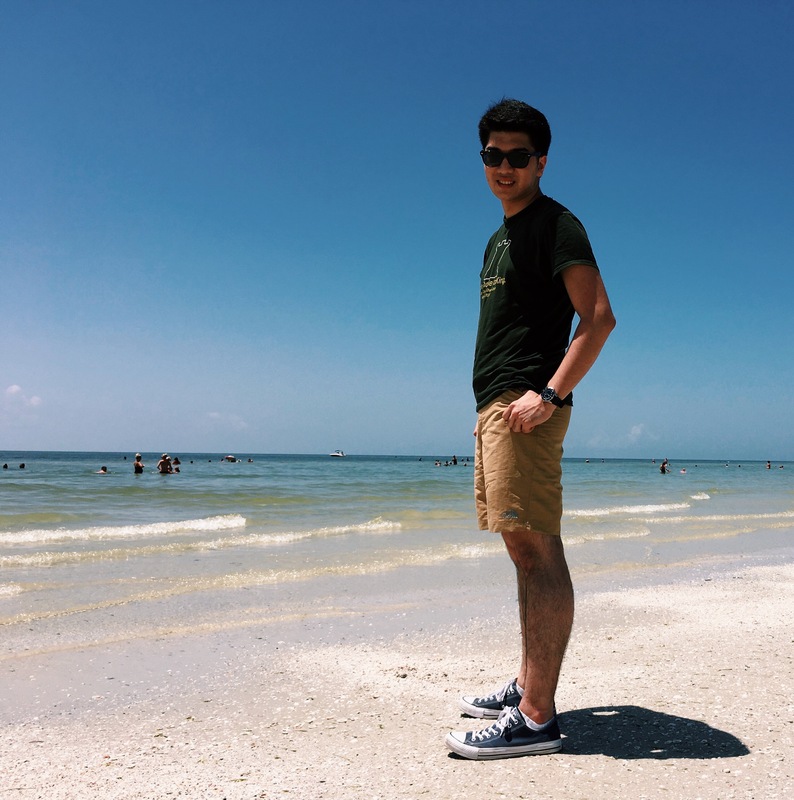 Of course, these past two months have also given me a lot of insight into my own weaknesses as a player, forcing me to work on a new opening repertoire, my calculation skills, and my overall endgame understanding. After a few days on Sanibel Island following the Southern Open, I was ready to get back into tournament form! To an extent, I do think putting so much emphasis on my preparation for the US Junior Open resulted in a bit of a backslide in my studies upon my return from New Orleans. I didn’t really grasp this in Philadelphia as I was preoccupied, getting torn apart in the Open section, but this became apparent to me when my performance in Orlando was punctuated with a very lucky win despite my poor form and inability to find any tactics that weekend. But naturally, I have greater aspirations than to obsess about a tournament I played in two months ago, and making master is certainly a good first step. In the three weeks leading up to the Washington International, I completely changed how I attacked my studies. Every morning, I woke up at 6:30 to go running to improve my endurance while beating the heat. After pushing my physical limits, I then tested myself mentally, doing tactical exercises for about two hours before working on my opening repertoire and then testing out some lines in online practice games. On most days, I was able to put in about five hours of preparation, though there was one day where I somehow had the stamina for ten! This wasn’t enough to fix all of the problems my game has had over the month prior, but it made up for a lot of poor preparation – think of it as a “spring cleaning”, if you will. Boards and sets! 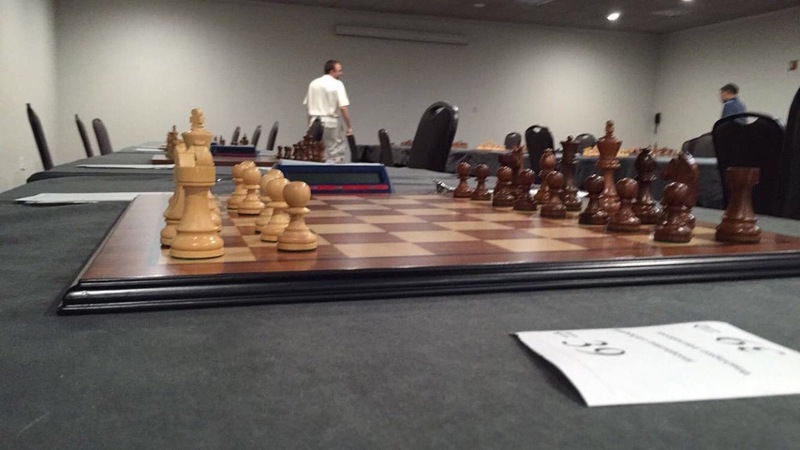 The Washington International is the most accommodating tournament I have ever played in – breakfast, mid-game coffee, provided boards and pieces – what more can you ask for? So, as you can imagine, I entered Rockville the most prepared I could be, and easily the most confident I have been in a very long time. I knew it would be hard to replicate the success I had last year with a completely new opening repertoire, so my only goals were to focus on getting solid positions out of the opening and limit the number of unforced blunders in my play – both of which were places I had failed in my two prior events. My first three games were extremely uneventful, though I managed to outplay my first round opponent from an equal endgame to secure a win. My score of 2/3 wasn’t a bad start, but my tournament really started in round 4, where my inability to play quickly cost me a beautiful position and the game. 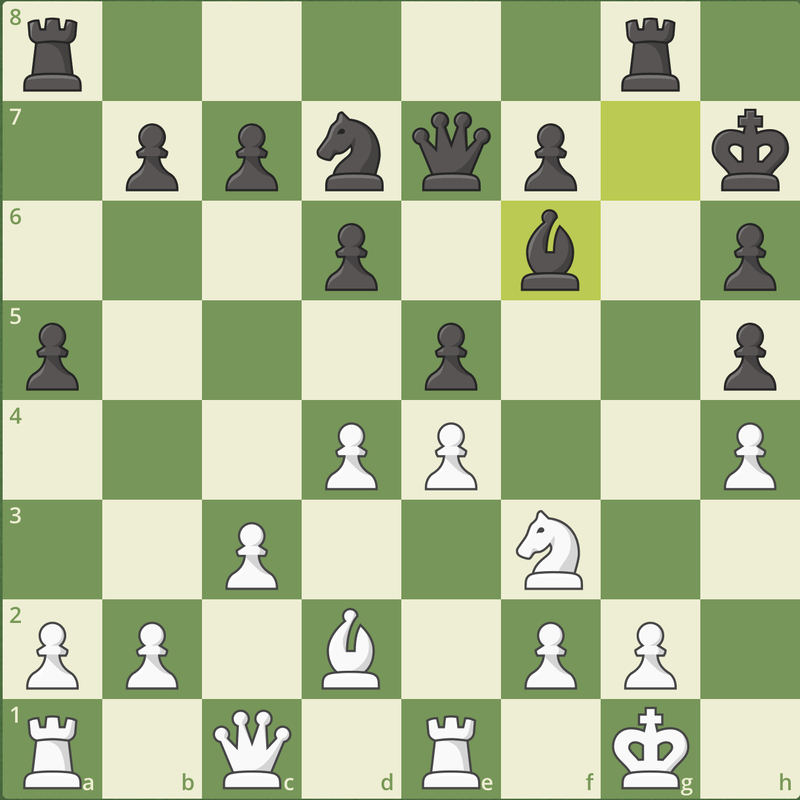 Even though I’m not particularly happy with how this game ended, I think it’s instructive and worth sharing here on Chess^Summit. Ouch! Well, I guess that’s one way to lose to a lower rated opponent… Not quite what I was hoping for in my “back to form” tournament. One thing I’ve noticed about some of my tournaments pre-dating the US Junior Open was that if I had a closely contested game and lost, I generally would underperform in my next few games and it would kill my ability to have a consistent tournament performance. 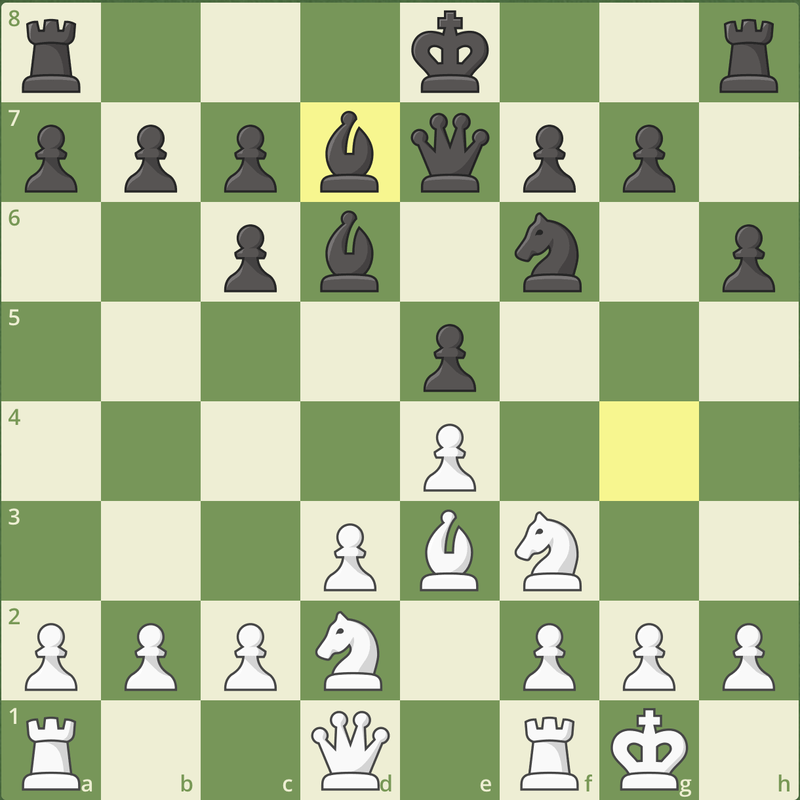 Knowing that my ability to rebound quickly from this loss would define how I did in this tournament, I played my best chess in each of my next two games as Black. Pushed for what felt a “must-win” in round 5 to bounce back from a tough loss the night before, I opened with a move I hadn’t played since 2007! Typically, I bring blue Gatorade to each game, but when I feel like I need to win, I switch it out for “Darth Vader” juice (red). While superstitions are silly (I have others! ), there was no messing around this Monday morning, and Caissa rewarded me with some creative play, and a great win to really start my scoring spree this tournament. While I won this game with some nice technique, I was much prouder of myself for completely ignoring my opponent’s time trouble, and forcing myself to find the best move at my own pace, even once the endgame had been reached and it was clear the game was continuing for the sake of formality. I feel like my ability to handle such situations has come a long way since I blew a State Championship last February trying to push my opponent further into his own time trouble. So I was back! Just a few hours later, I was back at the board again with the Black pieces. Any guesses as to how I responded to 1 e4 after that previous round? 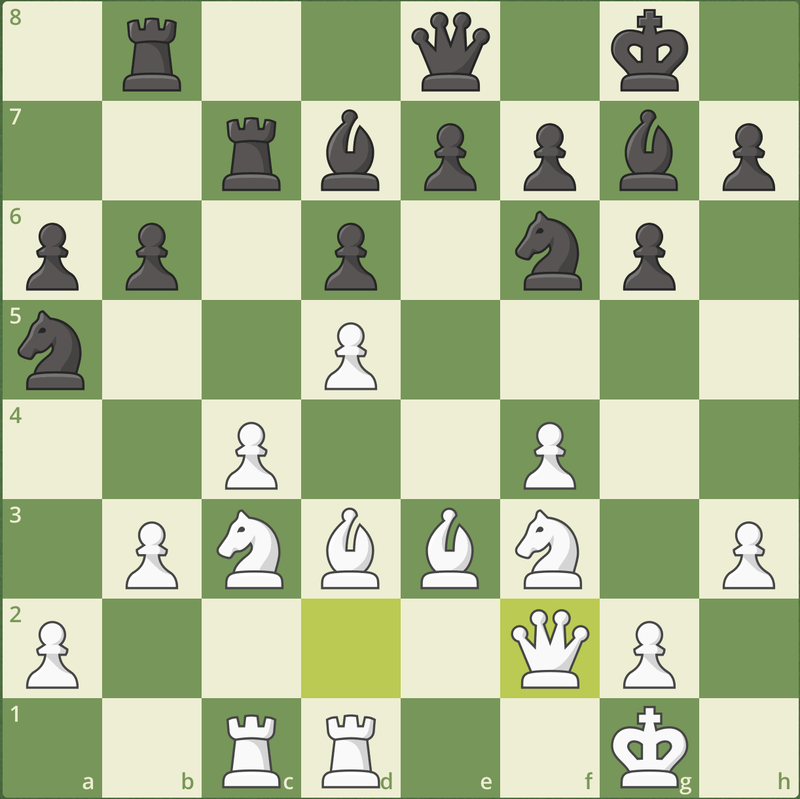 I was really confident in my play again and by move 13 I reached a completely winning position, and unlike my earlier loss, I once again forced myself to use my time more effectively to put the game away in style! Now 4/6 with three rounds to go, I was feeling optimistic again about my chances to place in the event, but as luck would have it, things just did not work out. Paired against one of the strongest players in the field I managed secure equality, but quickly found myself distracted by some off-the-board behavior related to my opponent that I do not wish to discuss at this time. I had my own mistakes and know what I can take away from this game to become a stronger player, but unfortunately, this once again killed the momentum I had worked so hard to build. I did well to draw my last two rounds with Black, but on paper, 5/9 certainly didn’t seem to make up for that round 7 loss. 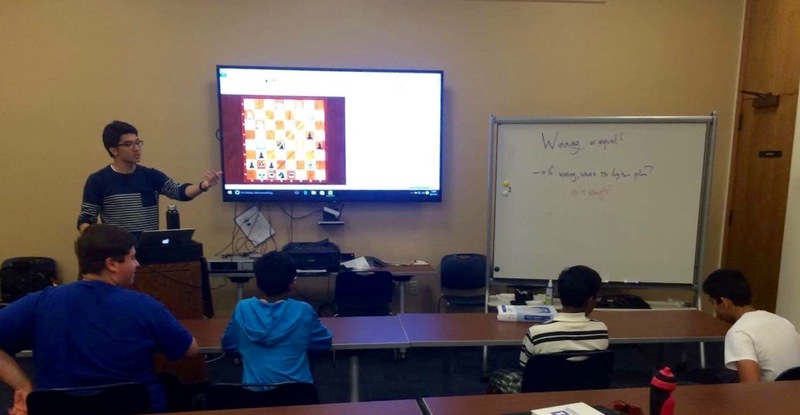 Coaching at the first ever Virginia Scholastic Chess Association Intensive! A small group of kids, a lot of material to cover! Since I don’t know where my future will lead me, this might be the last scholastic event I run in Richmond for a while. So we return to the opening question – what makes a good tournament? Dropping below 2100 for the first time certainly doesn’t sound like a good result, but when I look at the goals I set for myself going into Rockville and then compare these nine games to my previous eleven, only one word comes to mind: progress. In this tournament, despite playing with a new opening repertoire, there was only (arguably) one game where I left the opening slightly worse (my round 8 draw), and while I had my mistakes, it was still not nearly as many as I had at the Southern Open. Even though I was fully prepared for this tournament, I got hit with everything this section could offer me, and each of the lessons I learned will be valuable towards future improvement. Good is a strong word in chess because it’s too general to really describe every aspect of a performance. 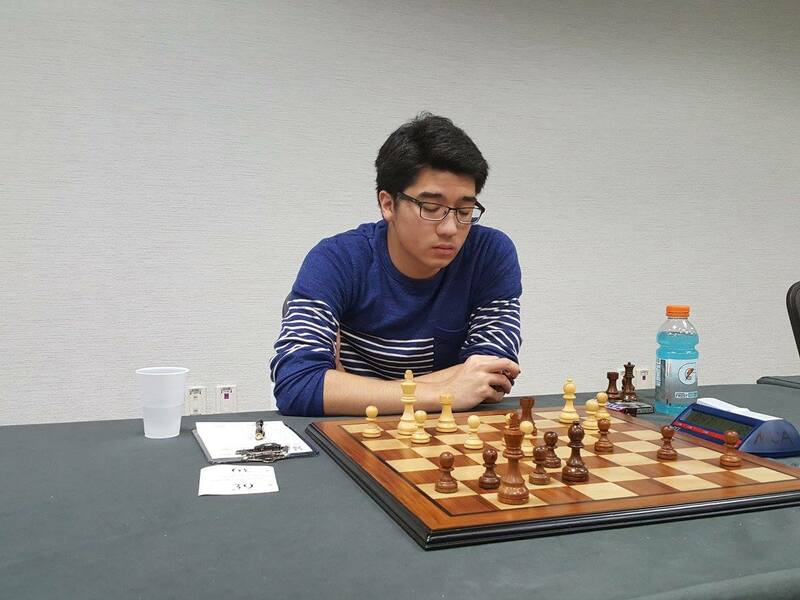 At this year’s Washington International, I didn’t have the breakthrough tournament that I had the year prior, but I certainly had a very encouraging result. The way I played showed a lot of improvement, but in pulling together a solid showing, I also saw my play with White isn’t getting me enough, and that my ability to manage time trouble can still use some work. As I pack my bags for another term at Pitt this week, I’m excited about the prospect of being able to play more frequently in various local competitions. 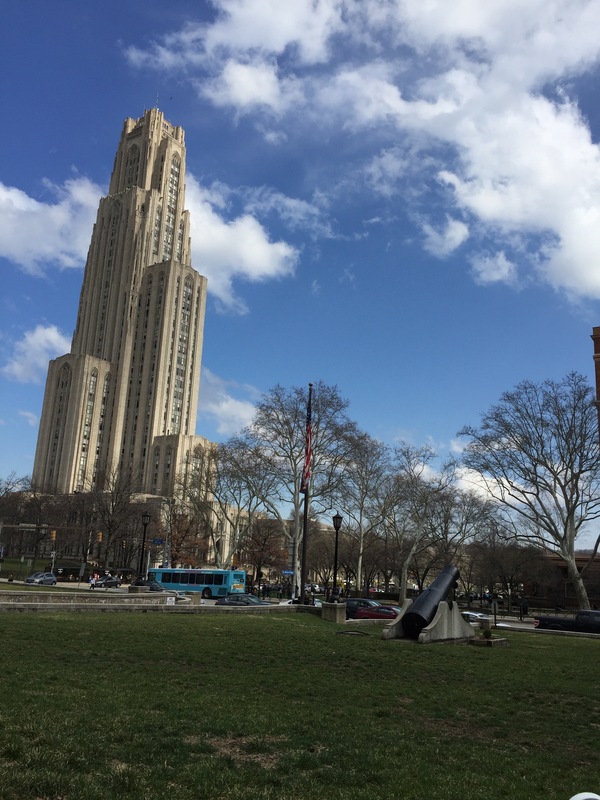 With the Pittsburgh Chess League, as well as the various Pennsylvania State Championships on University campus, I’m confident that I will not only have an opportunity to regain the points I’ve lost the last half of this summer, but soar beyond if I continue to attack my studies. Of course, I likely won’t have five hours a day anymore given my workload, but I hope I can make up for that with ambition and get back to the results I’m used to. These past few tournaments have been a test, and the finish line is near. My only hope is I cross it sprinting. Interesting article. I’m well aware of that feeling when you know you’re winning and you just see it start to slide away. Then you start missing moves all over the place and things go downhill. The trick is the step away (either physically or just mentally) and mentally reset when the dynamics of the position changes significantly. Good that you came back from that with a few blacks wins. Funny about Rockville…I always disliked that site even though I lived a few minutes away. The rooms were too small for me, and I would get distracted every time someone opened the doors to enter or exit the room. It didn’t help that they sometimes had loud groups renting the nearby conference rooms! I focus much better in large rooms with high ceilings where I’m not too close to the door and the noise dissipates. I’m living in Las Vegas now, looking forward to playing locally and in California. Congrats on your move! Yeah, usually I like to take a couple minutes to relax and kind of get a renewed sense of things, but the added time was only 20 minutes, so I didn’t really have as much time as I thought… But of course, it’s always important to note such changes, which is why in the future I want to avoid moves like Bd4xc5?! in heavy time pressure. I used to feel the same way too, but since last year, the Rockville hotel actually got renovated, so the rooms are a lot bigger! I know what you mean by the next door events though – but this year we got lucky! Good luck in your next tournament, wherever it may be!